With the release of the July BDJ Box, I now have a total of six (regular) boxes from them. I feel that it is time to do a round up of the boxes I received. The boxes included in this Round Up are the following: November 2012, December-January 2013, February 2013, May 2013, June 2013, and July 2013. 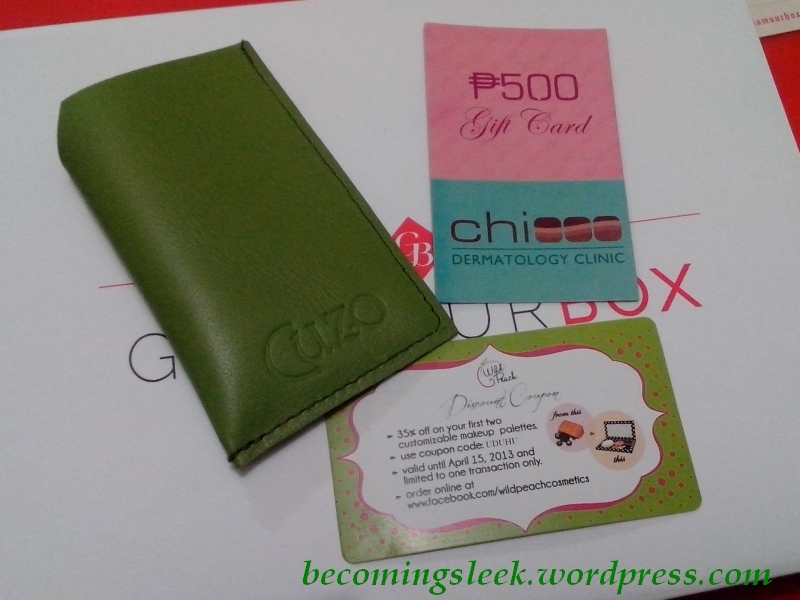 I paid the old price of Php480 for these boxes. Here is a summary of the numbers for each category. The very first thing I noticed here is the really great trend with sample sized products vs full sized products. Check out this chart. 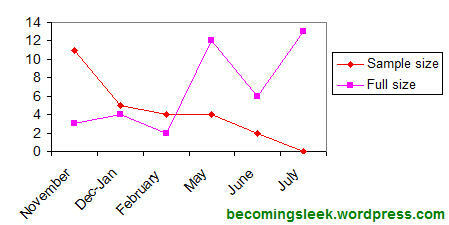 You can see that as the months roll along the number of sample sized products decreased while the number of full sized products increased. It culminated in a mindblowing July box that is 100% full sized. This is greatly appreciated! 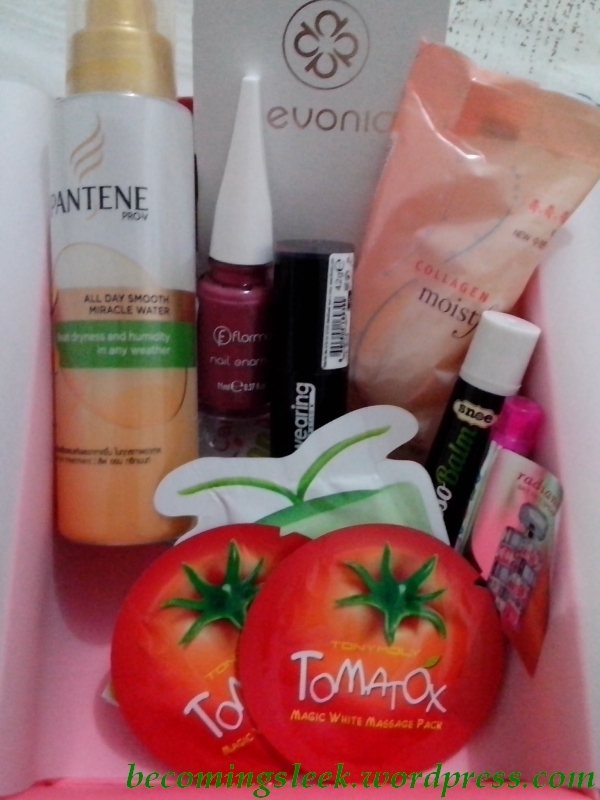 It is quite a good feeling to receive full sized products in my boxes, but I do also appreciate the samples I received especially for the more expensive brands (like Shiseido). Another thing I noticed is that I started having more “green” items, meaning more items that I get to use regularly. This might be due to several possible reasons: that BDJ is paying more attention to user profiles; that BDJ is including more relevant items; that I have become more open to different kinds of products; merchants are more willing to work with BDJ; and other such reasons. This can only be good, as it points to better and better boxes. There is really no other conclusion here. 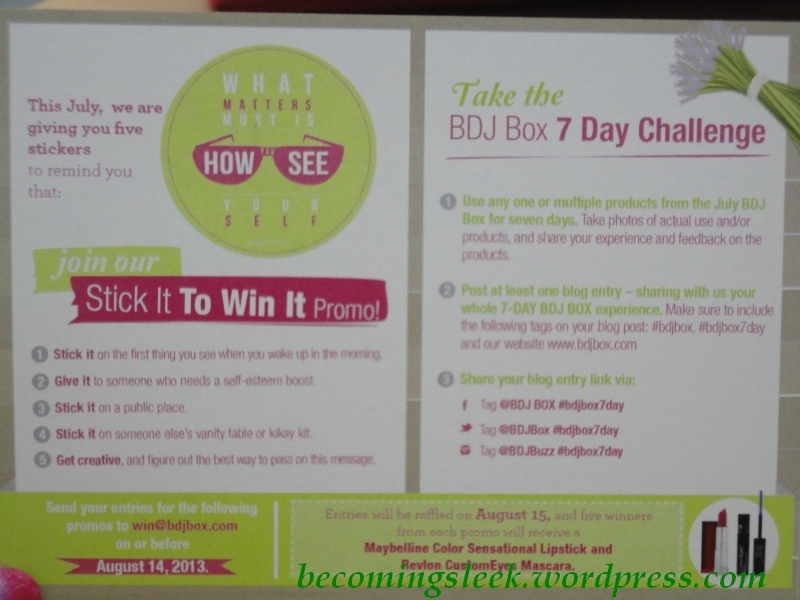 BDJ Box is a great subscription box, and is growing more so. Even with the increase in subscription price (Php480 to Php580) I think it’s still worth keeping a subscription if you can afford it. Disclaimer: All of the BDJ boxes mentioned above are paid by me. The analysis above is purely my own opinion. Oooh, a back-to-back unboxing! 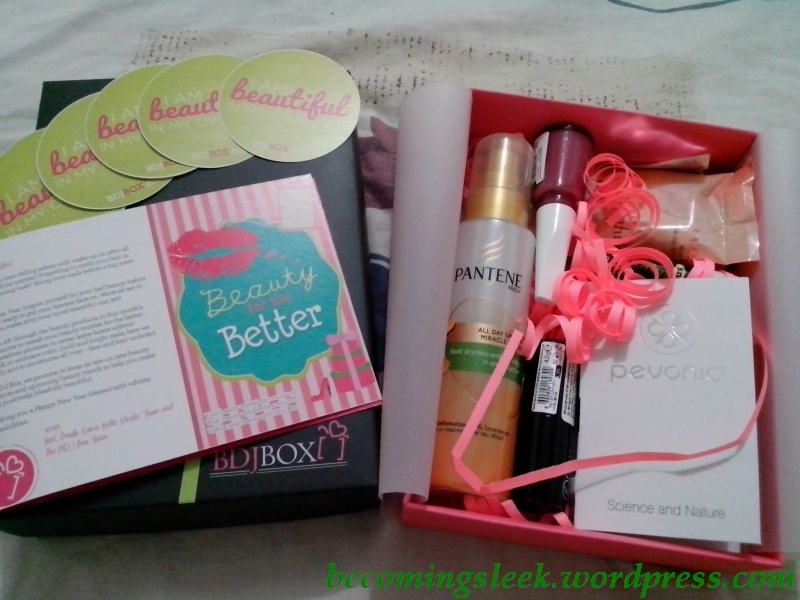 Welcome to my unboxing of the July BDJ Box, the last box in my quarterly subscription. Wanna see what’s inside? Come take a look! First of all, the package came in an unusually large box. I wasn’t able to get a picture, but the usual BDJ Box was accompanied by a nondescript white soft cardboard box wrapped with brown paper. It was heavy! I’ll show you what’s inside that box later. 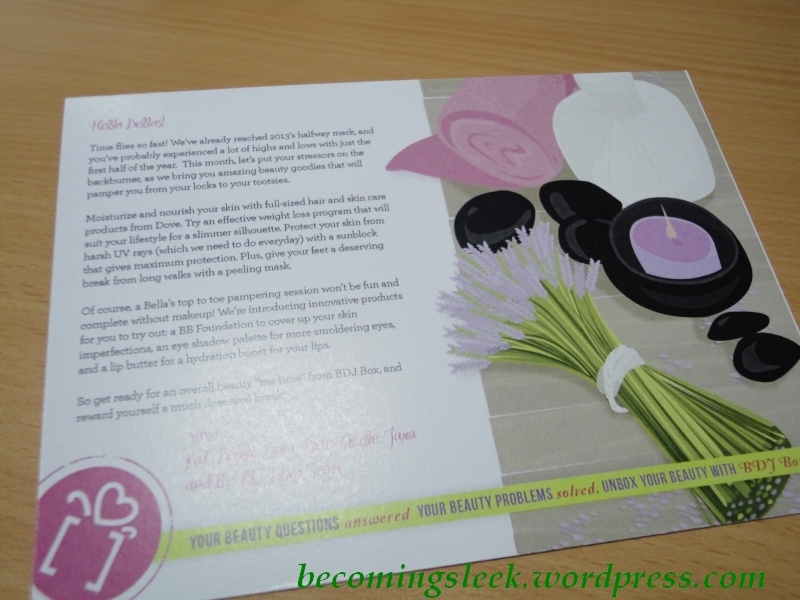 As usual, upon opening the BDJ box we are greeted by the welcome cards and the inspirational stickers. There didn’t seem to be an official theme name, but I gather from the welcome card that this box is for “me time”. 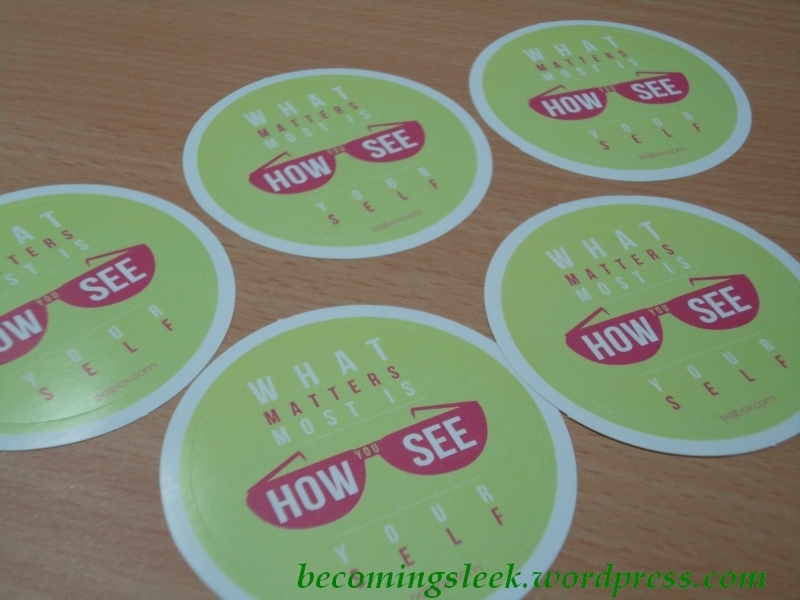 It’s for self pampering, and the products are made to reflect this. 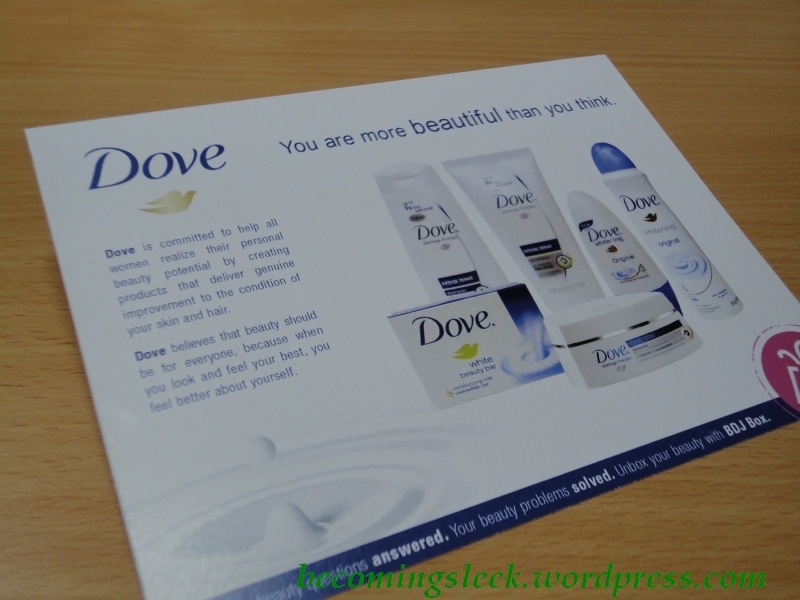 It was accompanied by a second welcome card which is exclusively from the brand Dove. 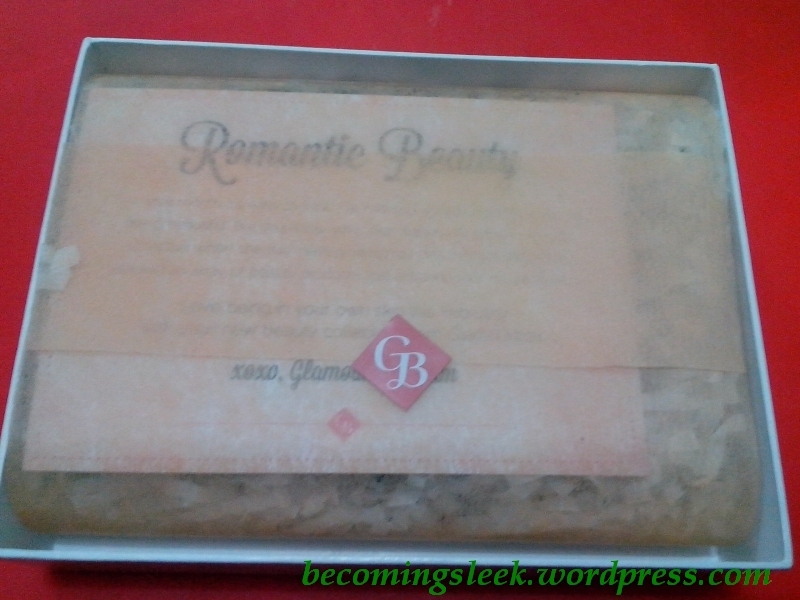 I grew up with Dove and to me the name suggests gentle soaps that will not irritate skin. BDJ included a whole range of full-sized (!!!) 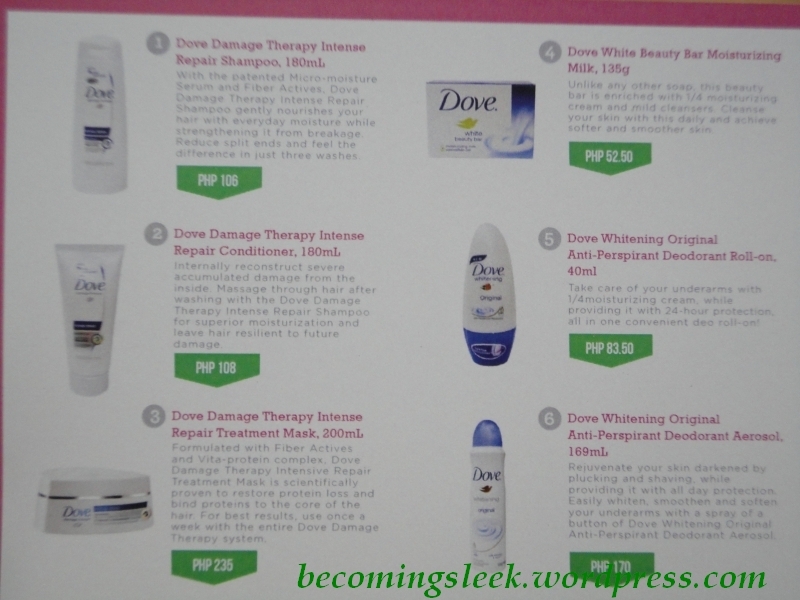 Dove products with this month’s box for us bellas to try. This apparently is what is inside that white box. The third welcome card is an announcement regarding the BDJbox website revamp. They will be opening their online store soon! I’m excited to see what they will be offering. Here are the backs of these three cards (click to embiggen). Let’s move on to the contents of the boxes! First let’s tackle the usual BDJ box. This is in the order listed in the first welcome card. 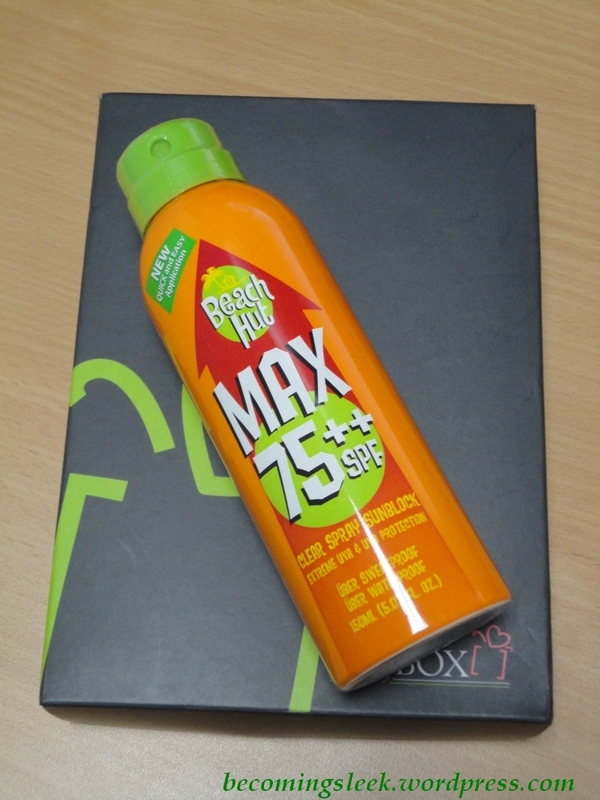 First up we have the largest item in the box: Beach Hut Sunblock. It’s in an aerolyzed form which means it’s a spray-on type of sunblock. 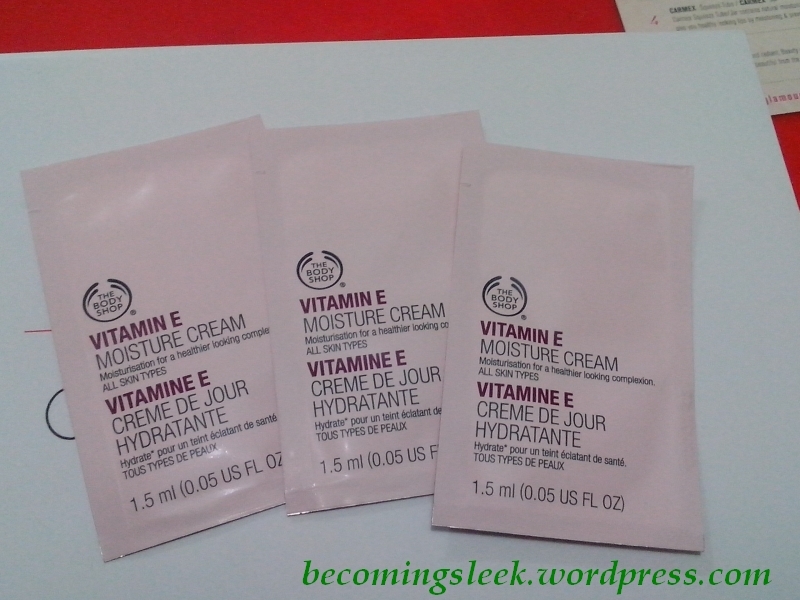 It makes application very easy and fast, and it has pretty good spf (SPF75, PA++). No more excuse to skip the sunblock even in the rainy season, especially if you expect to be out in the sun for a significant part of the day. I like Beach Hut and I don’t mind receiving this one at all. 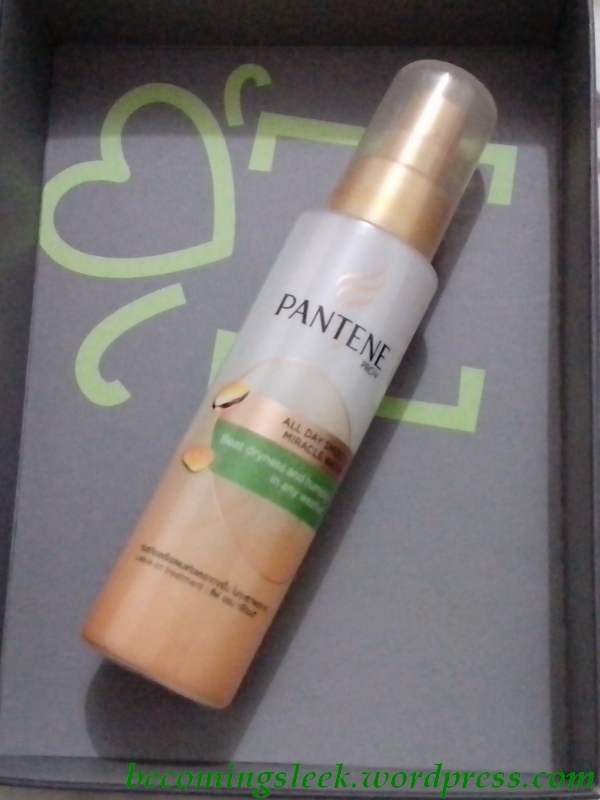 It’s definitely full sized, and costs Php399. The next three items are makeup! Woo hoo! This first item is Too Cool for School BB Cream. Have I already mentioned that I am addicted to BB creams? I am so happy to receive this, and from a brand I have never tried too! I’ve been hearing a lot of good reviews of TCfS and I can’t wait to try this out. 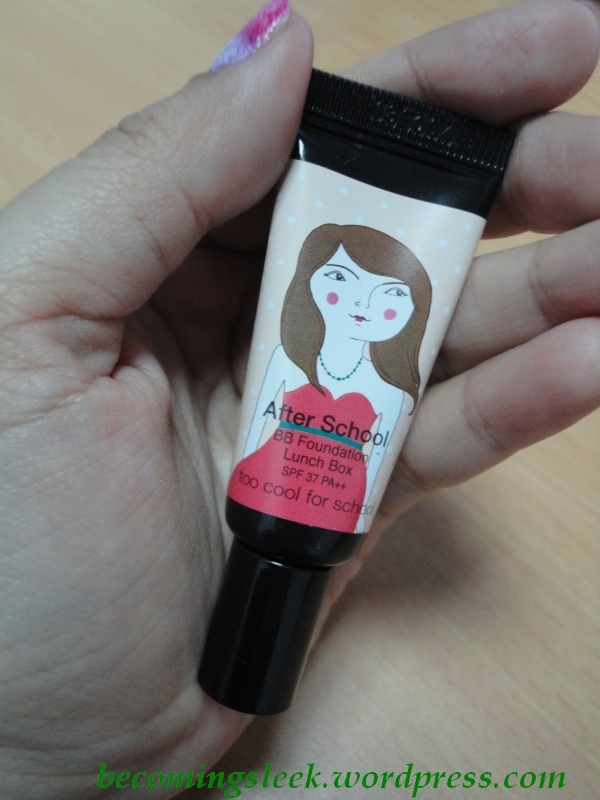 It is the travel-sized version (I can’t find how much product is in this tube) so it’s really cute and tiny. It comes sealed for your protection, and has a 12-month life upon opening. 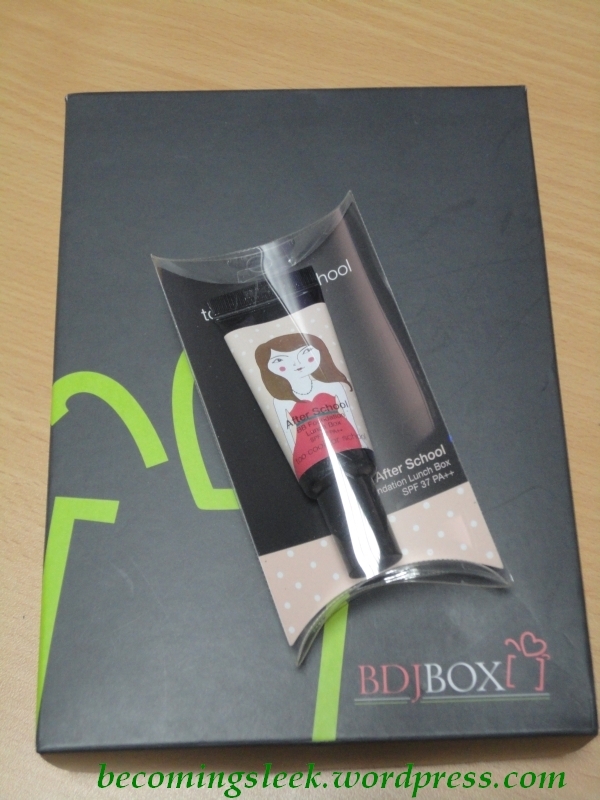 The full name of this item is actually TCfS After School BB Foundation Lunch Box with SPF37/PA++. 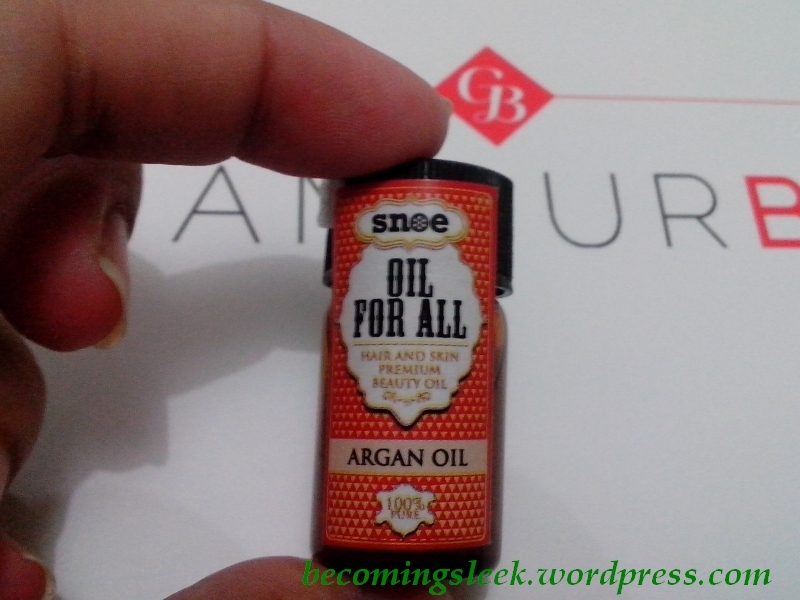 A BB cream-foundation hybrid? Very intriguing! This costs Php219. 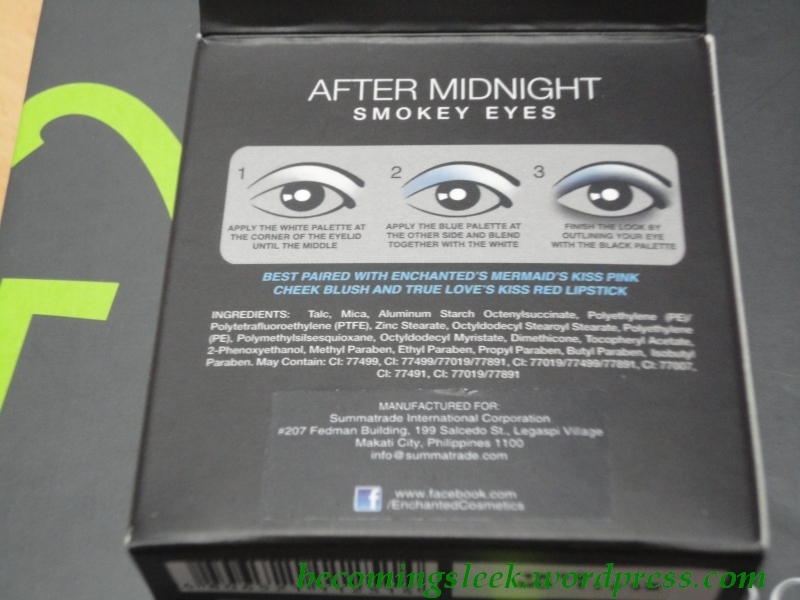 Next we have Enchanted Eyeshadow in After Midnight Smokey Eyes. 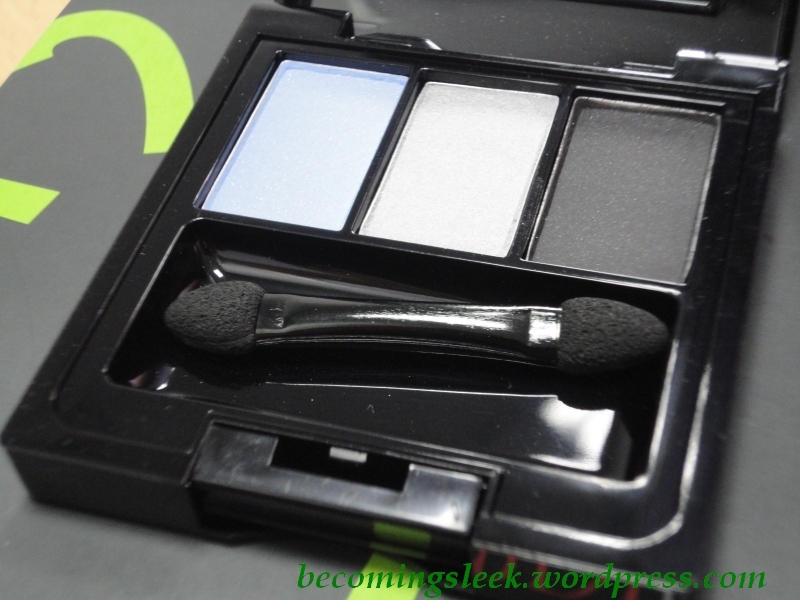 It’s a 3-color eyeshadow palette which comes in a black plastic case with a nice big mirror and a two-ended sponge-tip wand. It promises to be long wearing. My palette comes in baby blue, light gray, and dark gray. Now that I have discovered a use for the darkest shadows (as eyeliner! 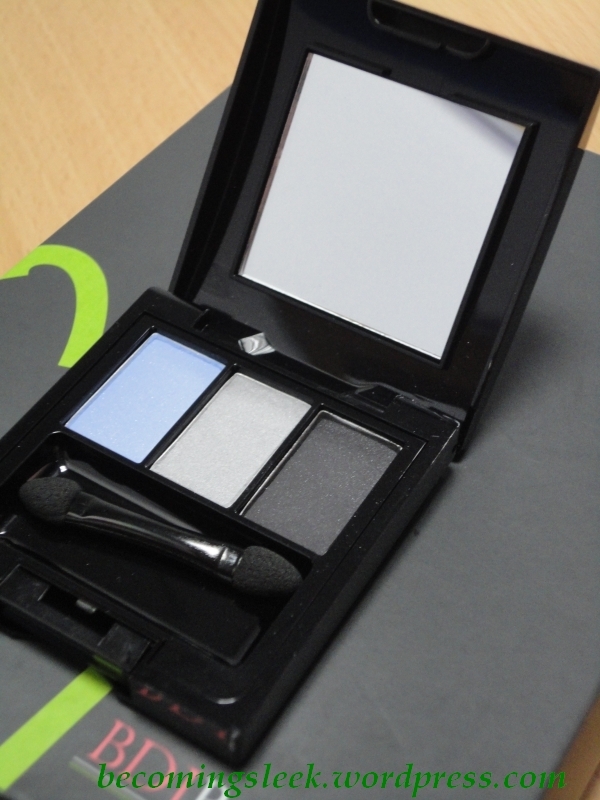 ), I am quite happy to receive this palette. I am an eyeshadow enthusiast and I never pass up the opportunity to learn more. This is also a brand I’ve never tried nor heard before. 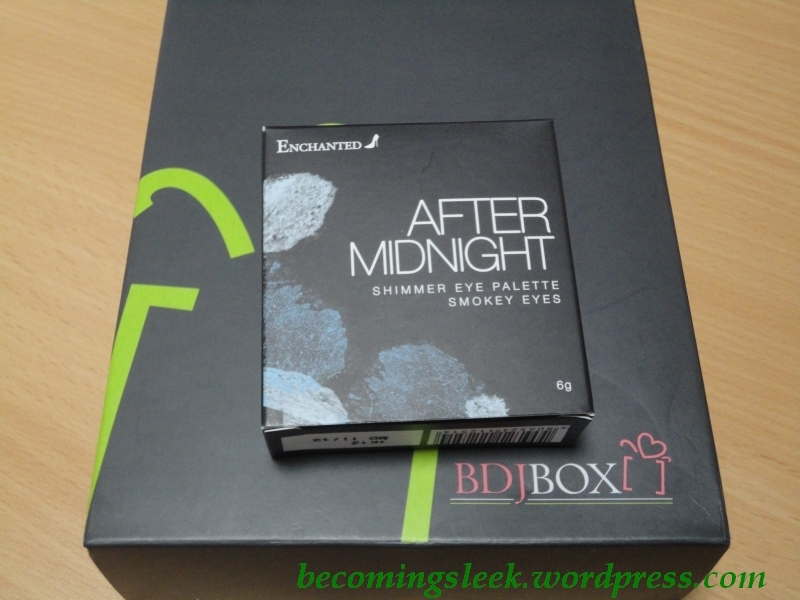 This palette costs Php179. 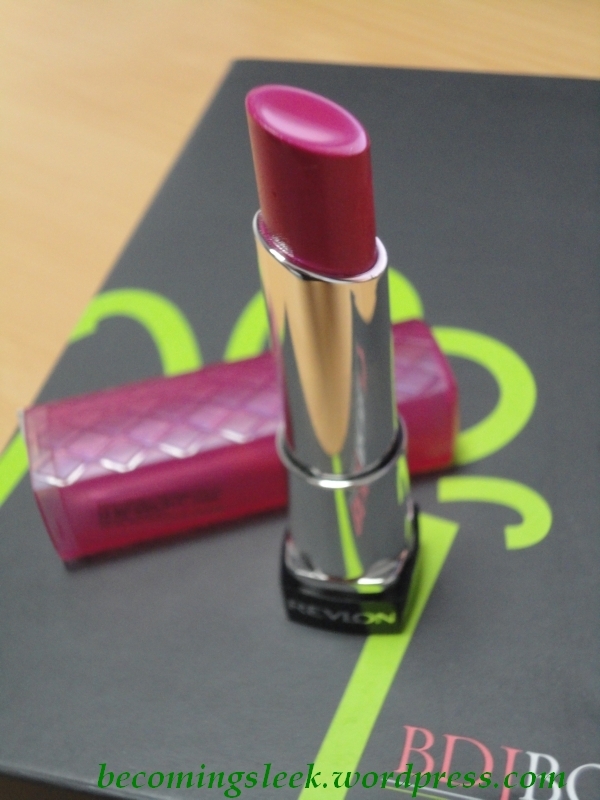 Lastly for the makeup items is Revlon ColorBurst Lip Butter in 075 Lollipop. 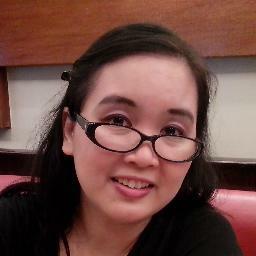 This is my second Revlon lippie. This looks like it’s going to be a nice bright pink, and as it is lip butter I assume it will be quite moisturizing. This costs Php525. 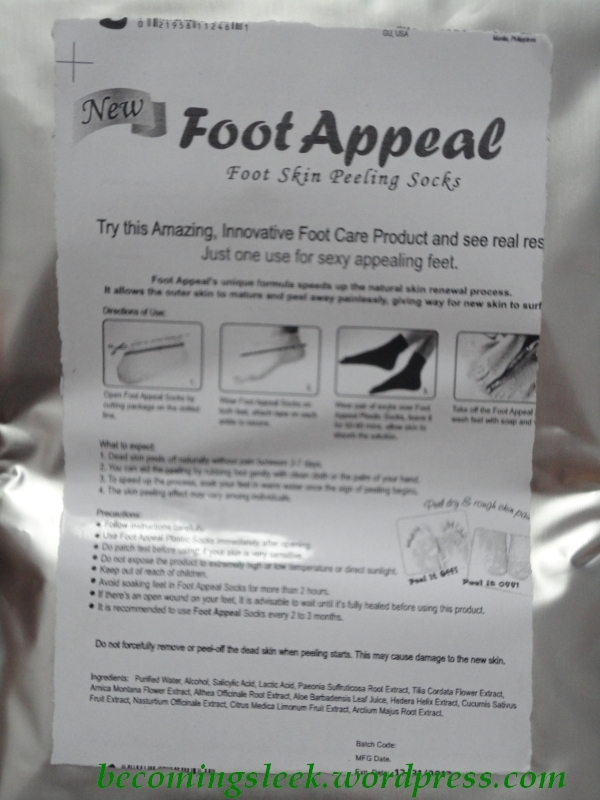 Next we have a foot-pampering item, the Foot Appeal Mask. It is what they call peeling socks, which I assume will exfoliate the feet and reveal soft new skin. I haven’t tried anything like this before, so this is bound to be an interesting experience. This pack costs Php279. 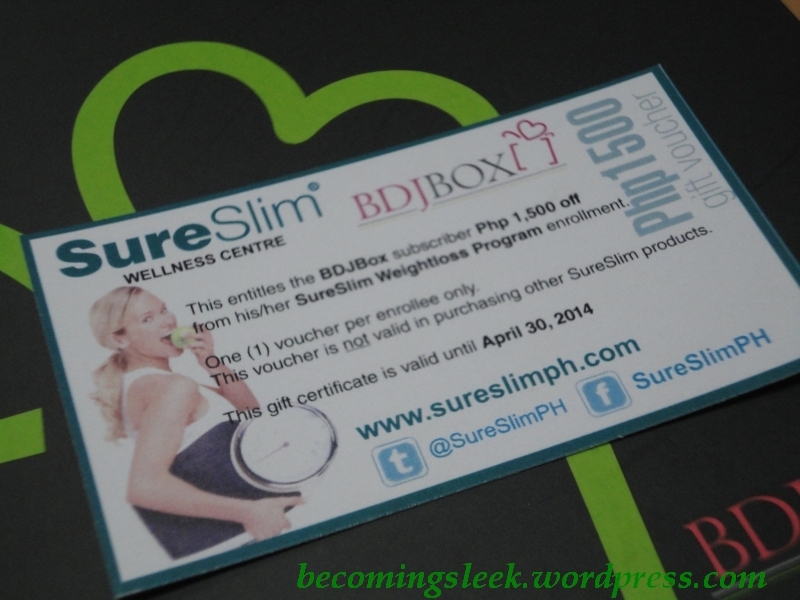 Lastly we have a Sure Slim Voucher. Forgive me if I don’t sound excited about this, because I’m not. 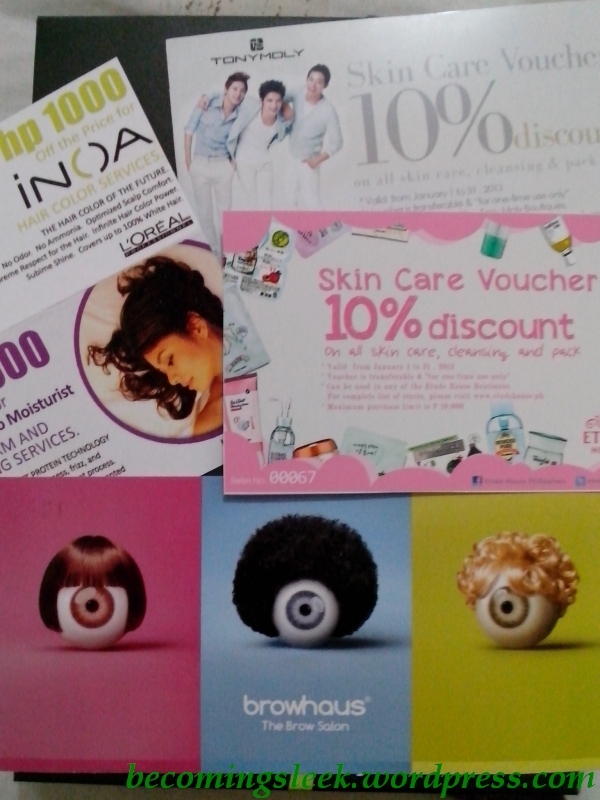 This is the third voucher I received for the same service and I still don’t intend to use it. What is weird in this iteration is that it’s included as an actual item according to the welcome card, and is assigned a value of Php1500 (since it’s Php1500 off for the weightloss program). 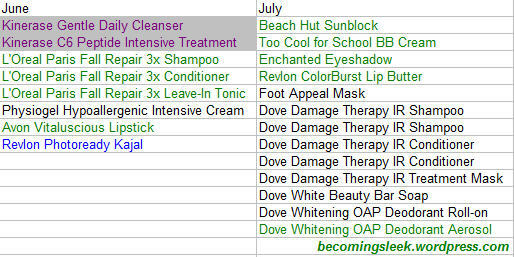 Before I move on to my impressions of this box and the value review, let me present to you the contents of the Dove box. 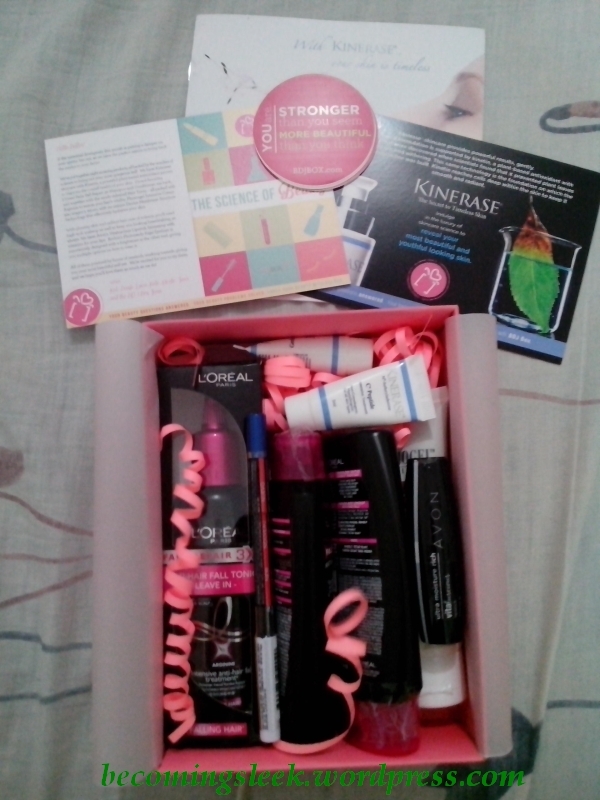 It contains eight full sized items: (2x) Damage Therapy Intense Repair Shampoo (180ml, Php106 each), (2x) Damage Therapy Intense Repair Conditioner (180ml, Php108 each), Damage Therapy Intense Repair Treatment Mask (200ml, Php235), White Beauty Bar Moisturizing Milk (135g, Php52.50), Whitening Original Anti-Perspirant Deodorant Roll-on (40ml, Php83.50), and Whitening Original Anti-Perspirant Deodorant Aerosol (169ml, Php170). Quite a huge haul! 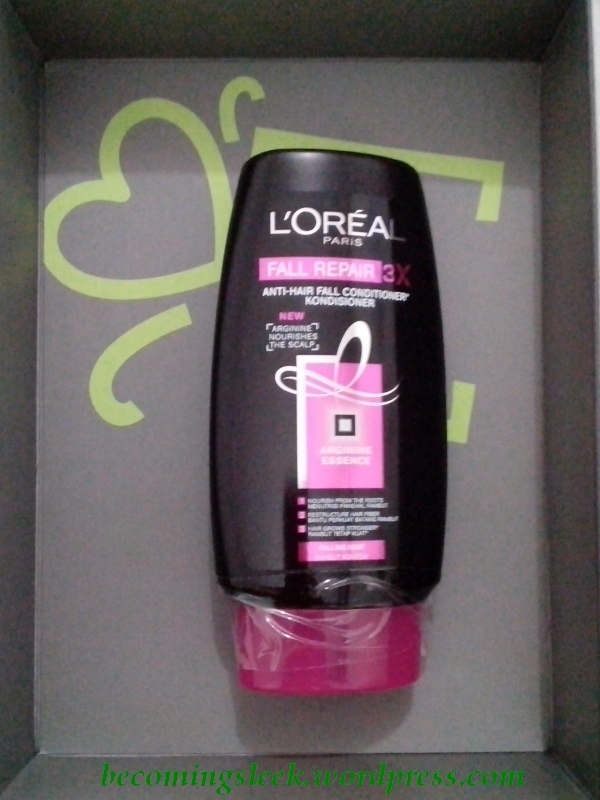 As I have received the L’Oreal set last month, I will probably not need hair care for the rest of the year. 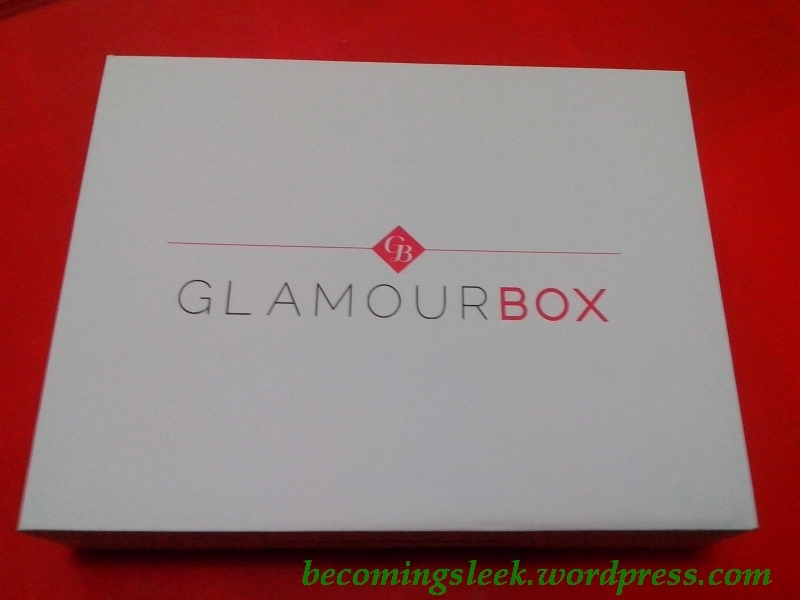 My impressions of the July BDJBox: What I like about this box is the amount of makeup products. 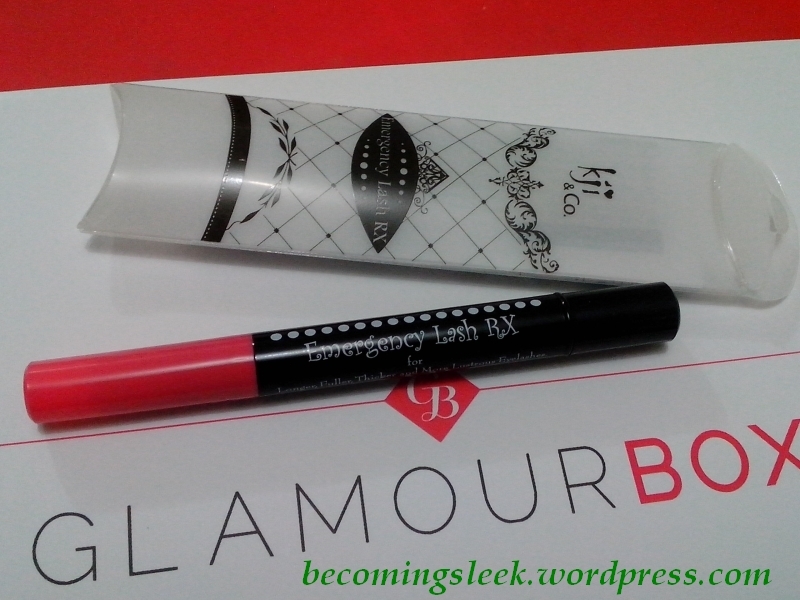 I love receiving new items to try, and I like the fact that two of the three are brands I haven’t tried before. 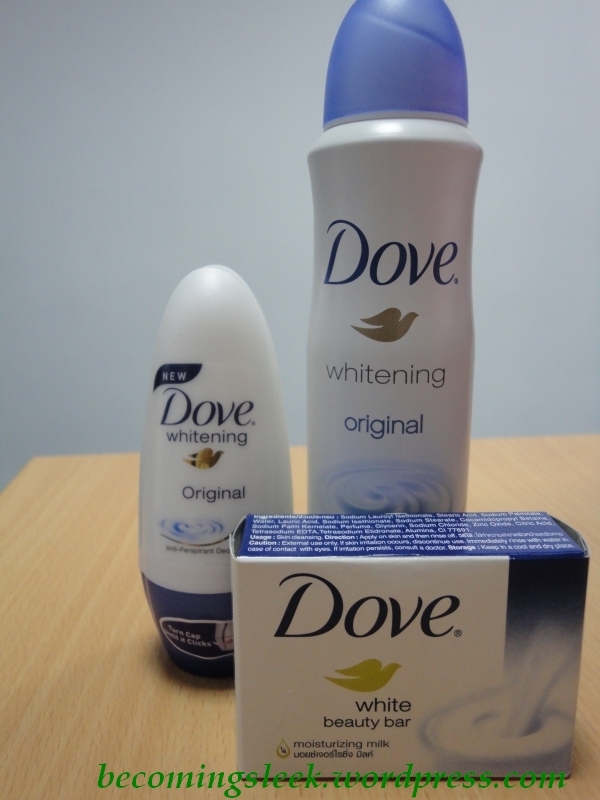 I also don’t mind receiving the Dove pack, since I like the brand. The only thing I have against it is that it’s a household name and is pretty much known everywhere. It’s just fortunate that I’ve never tried the hair care line so this is a good opportunity to do so. 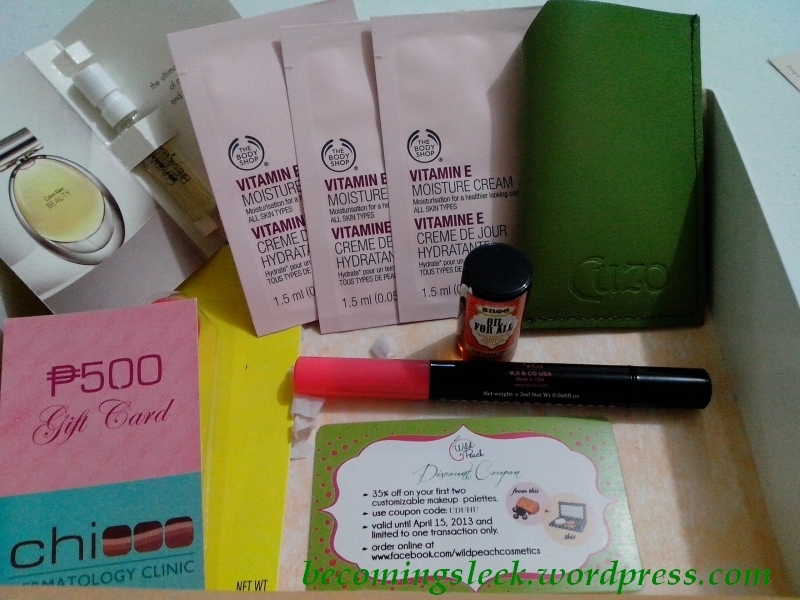 Value review: The total value of this month’s box is Php2570, including the Dove pack but excluding the voucher. (I refuse to include voucher values!) 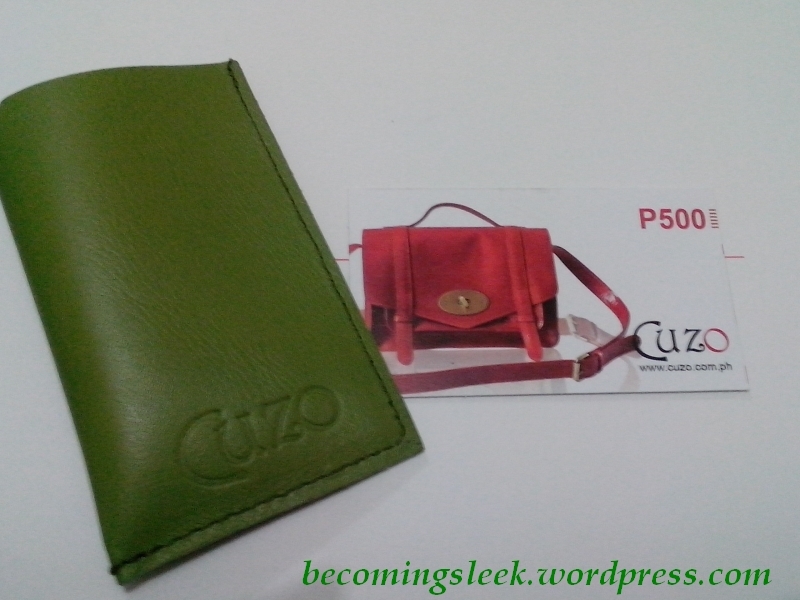 This is over four times the value of the subscription cost of Php580! 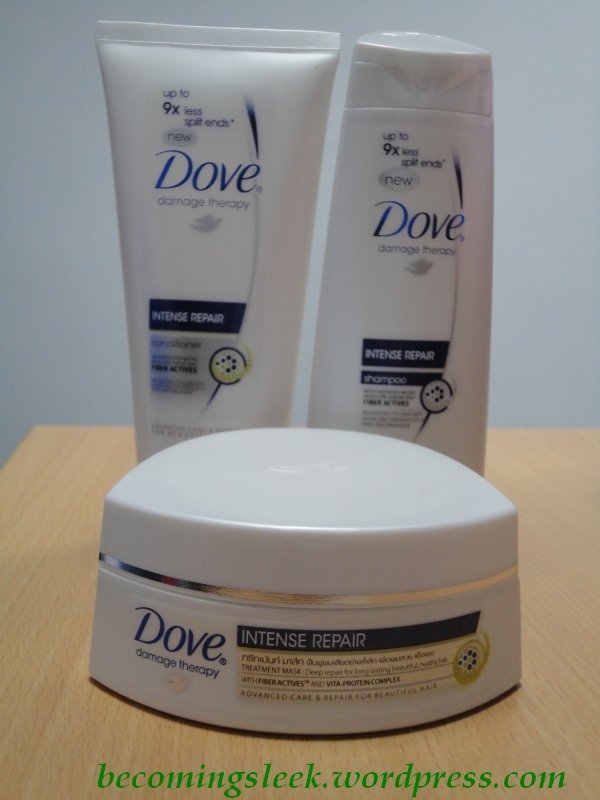 The Dove pack alone is worth Php969 already. Subscription is still quite worth it! Did you get a July box? What are your thoughts about it? It’s that time of the month! BDJ Box time! 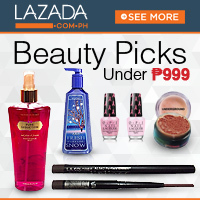 The month of June is the month where we explore The Science of Beauty. Yes, this is the theme of the month, and I find it quite intriguing. Let’s check out this box! This month’s theme (The Science of Beauty) basically concentrates on the key ingredients that target specific problems or issues. They claim that it took hours of research to develop these products. Here are two welcome cards included in the box. One is the standard welcome card that discusses the theme, while the second one concentrates on a brand I’ve never heard before: Kinerase. We’ll discuss that further on in the post. 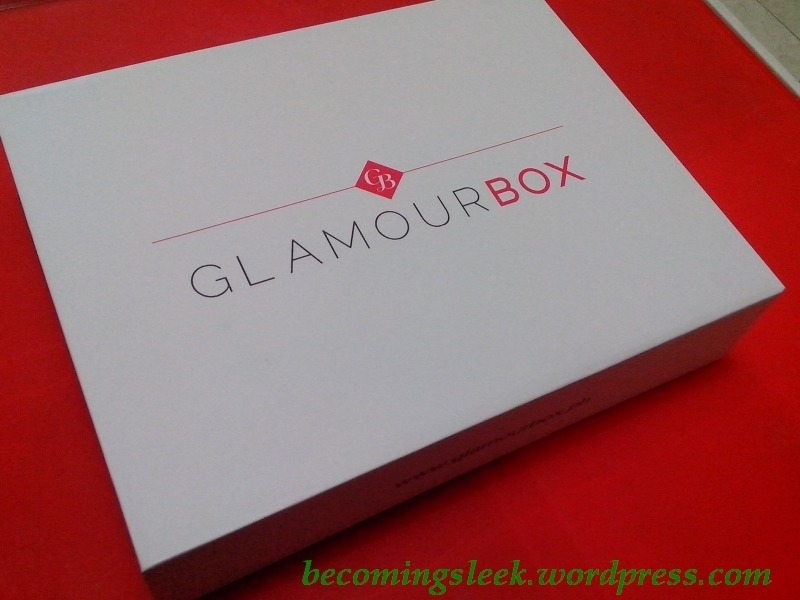 This is how the box looked like upon opening. As you can see it’s pretty packed with products, although you might notice that the majority of it is the black-and-pink L’Oreal products. 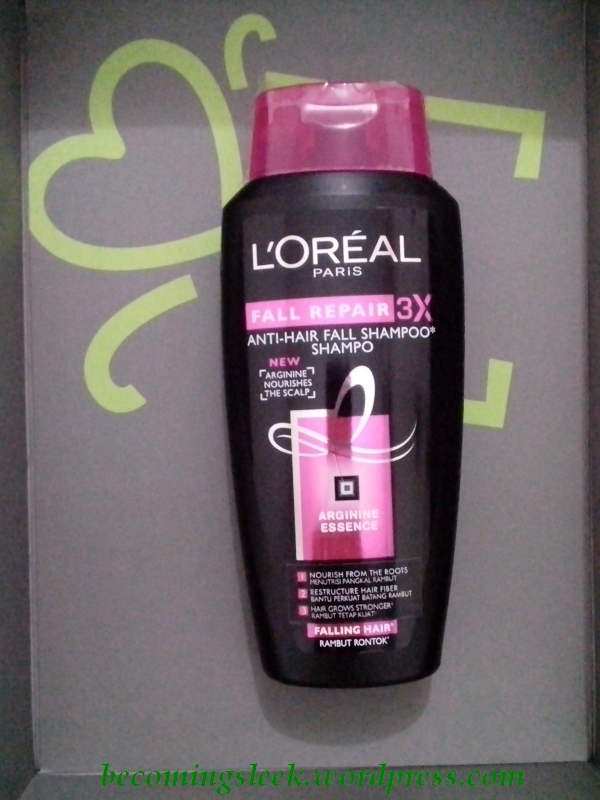 The first three products are the three products in L’Oreal Paris’ new line: Fall Repair 3x. 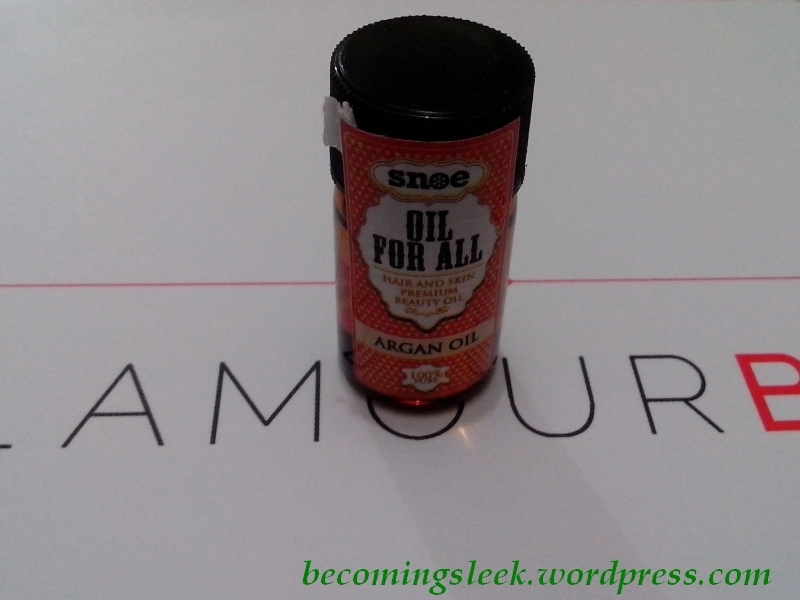 This line, as the name suggests, specifically targets and addresses hair fall through the use of Arginine. I would have been totally thrilled in getting these, if I hadn’t just bought the whole line recently (check out my latest haul post). The shampoo and conditioner are the 90ml small size ones (Full size 200ml, Php110 and Php119), which costs Php49.55 and Php53.60 respectively. 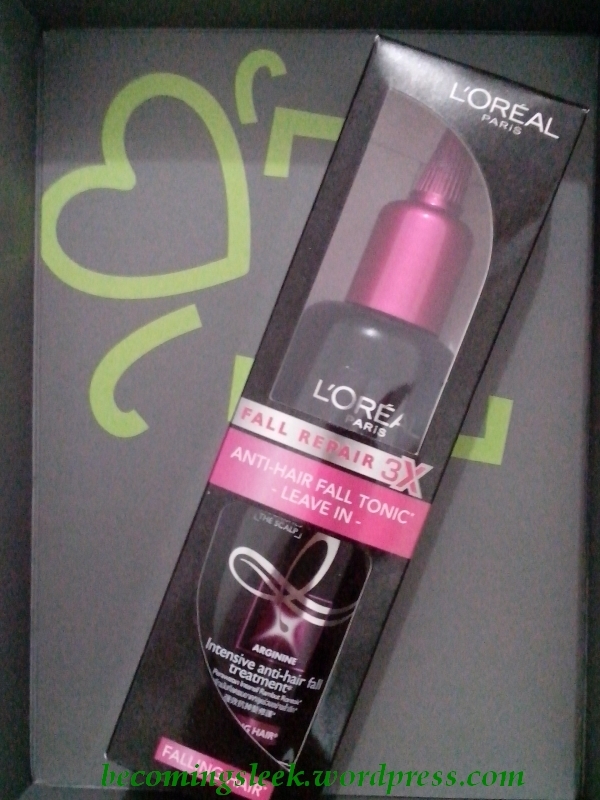 The Leave-In Tonic is full sized, which costs Php259. 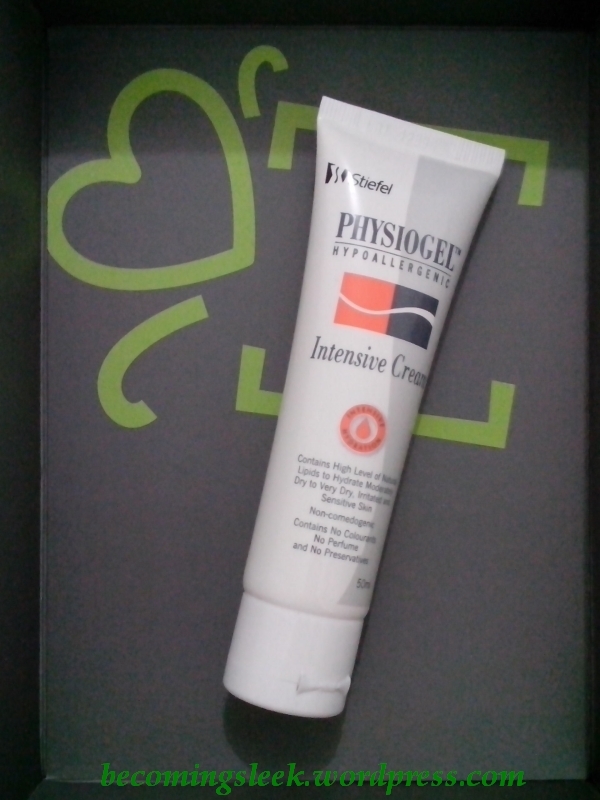 The next one is a full sized tube of Physiogel Intensive Cream (50ml). It is a moisturizer that claims to have a Derma Membrane Structure Technology, something that will work towards hydrating the skin. 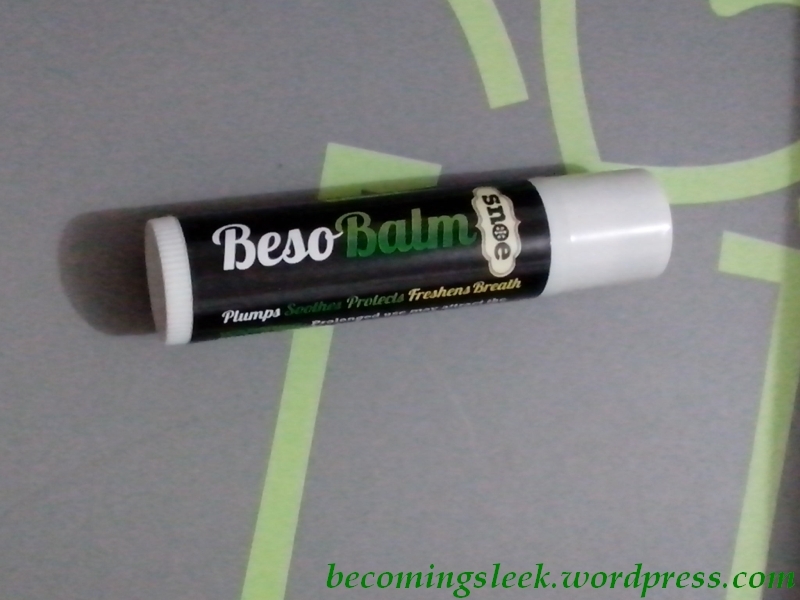 It can be both for the face and for targeting dry areas of the body like elbows and knees. Unfortunately, this already came out in a previous box, my first one: November BDJ Box. And to be honest I haven’t actually tried it yet. Maybe this time I’ll set aside a period to test this out. 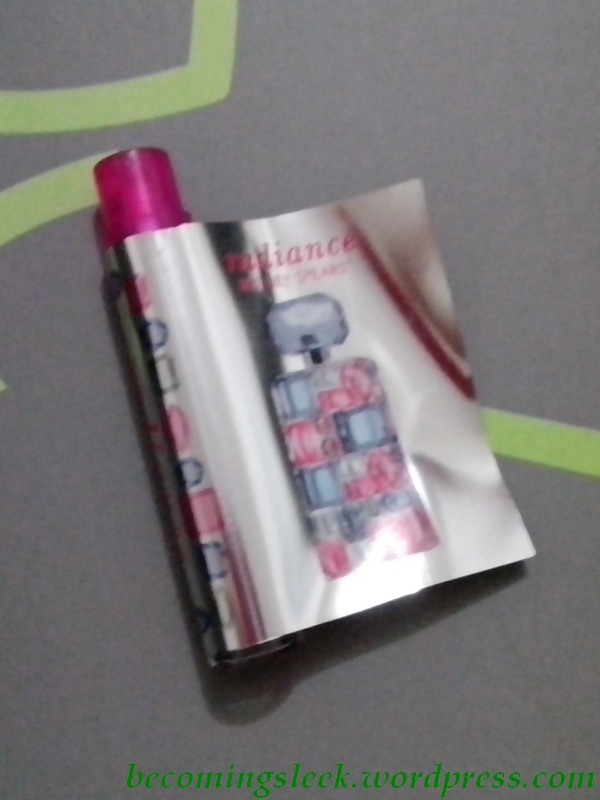 This 50ml tube costs Php574.50. Next we have two makeup items, which made me really happy! 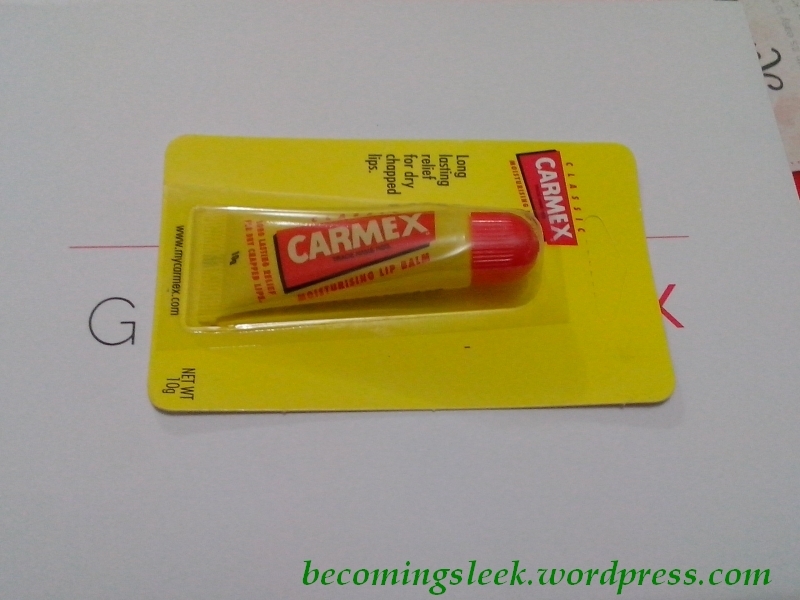 The first one is a lipstick. Woo! 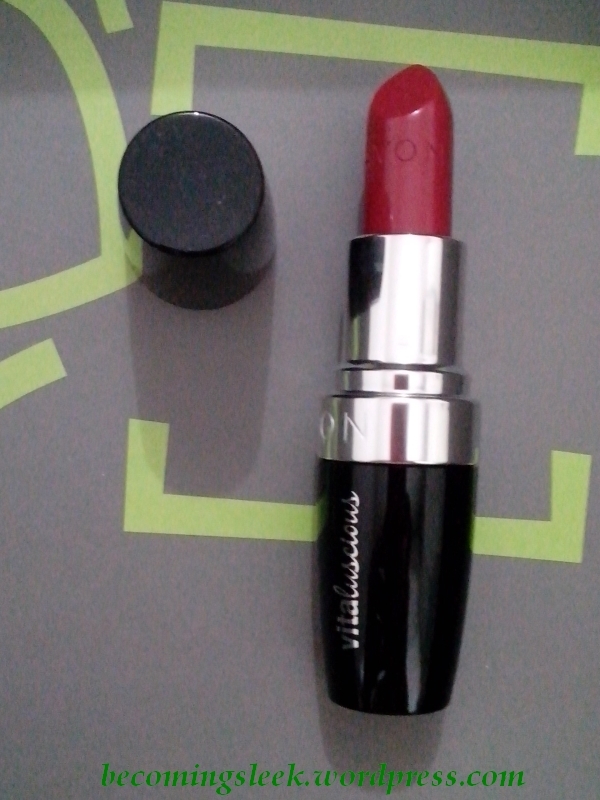 It’s Avon Vitaluscious Lipstick in 400 Reviving Red. 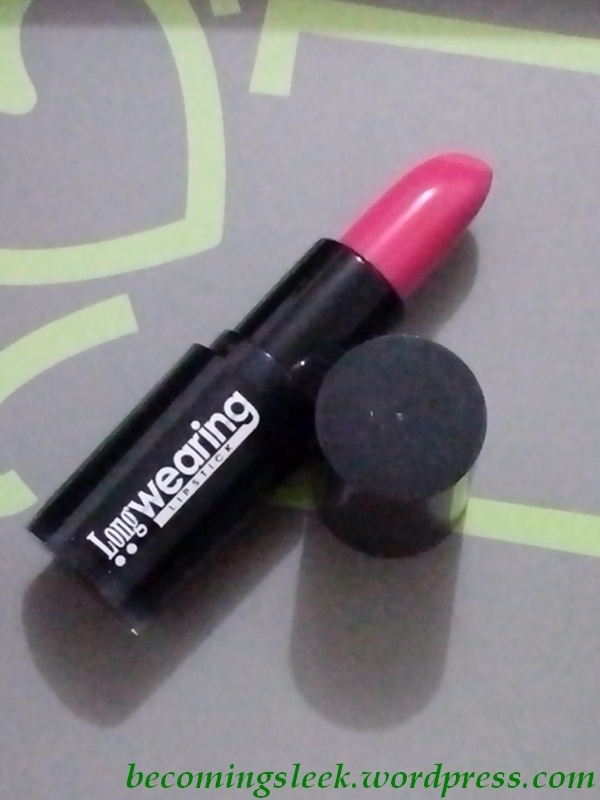 It looks like a pretty red lippie, and this would be my second red one (the first is from Flormar). 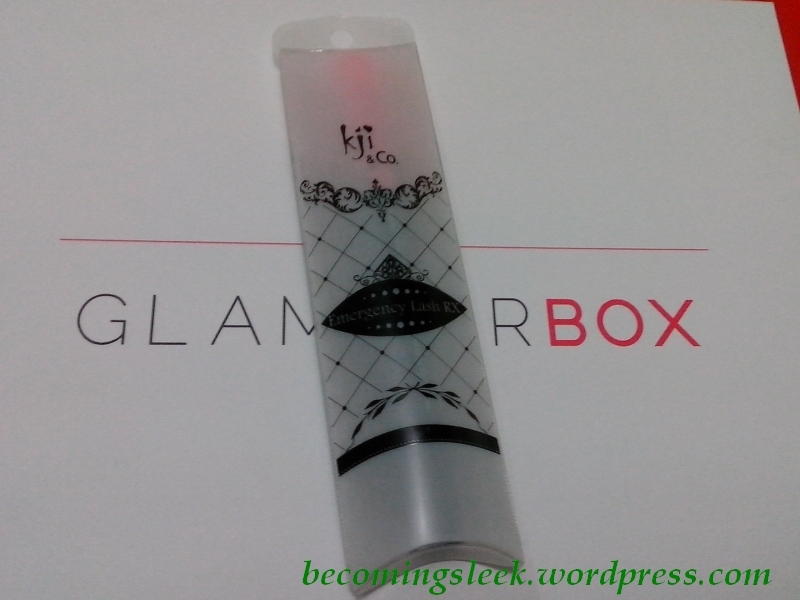 I have big expectations of this lippie due to Liz’s review. 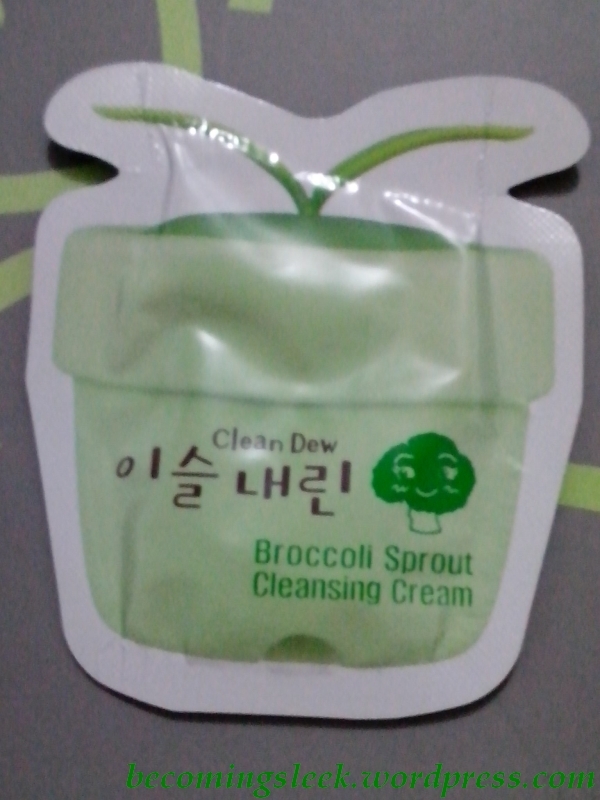 This costs Php299. The second item is an eyeliner but it doesn’t stop there. 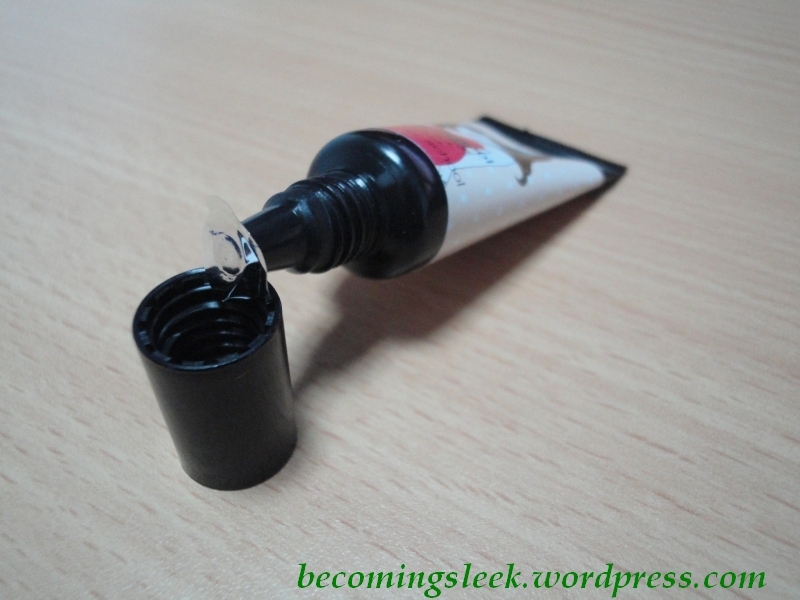 It’s a dual-ended eyeliner from Revlon! Talk about sulit! 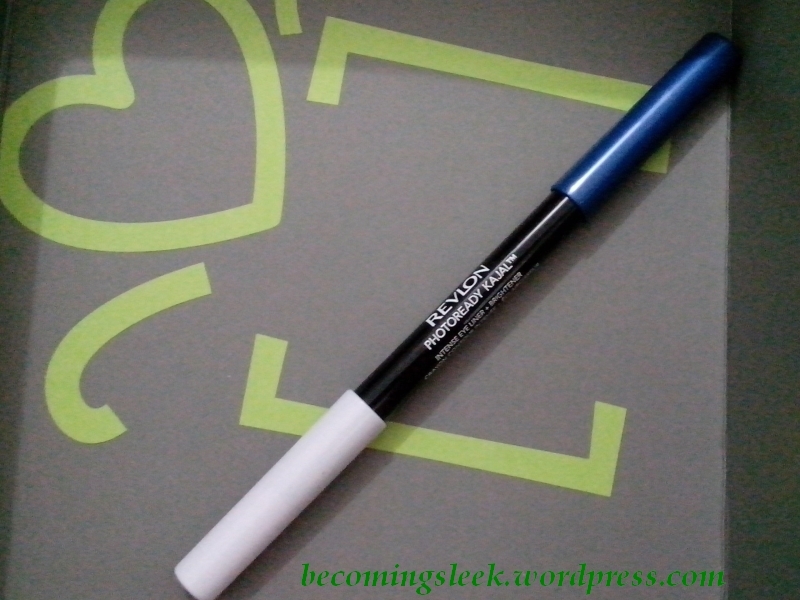 This one is called Revlon Photoready Kajal in Blue Nile. 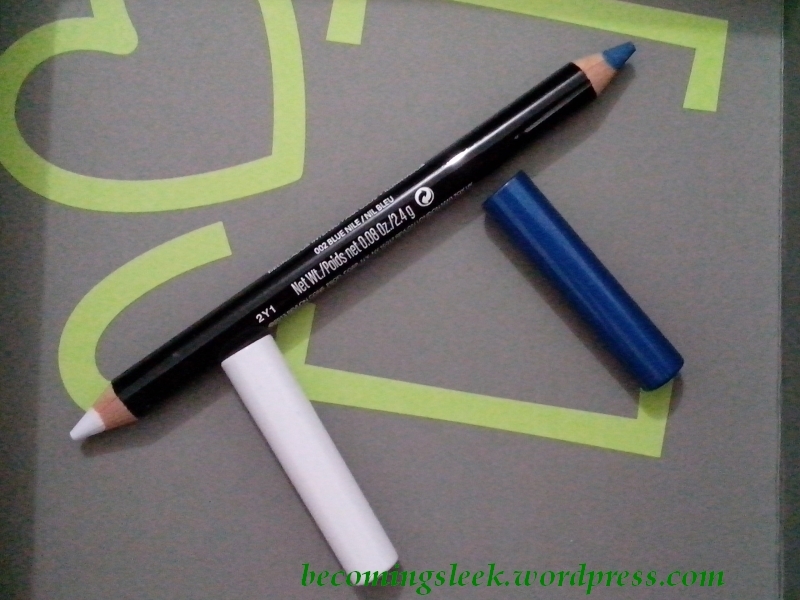 This eyeliner is an intense eyeliner (the blue end) and brightener (the white end) in one! I love that I got a blue shade. 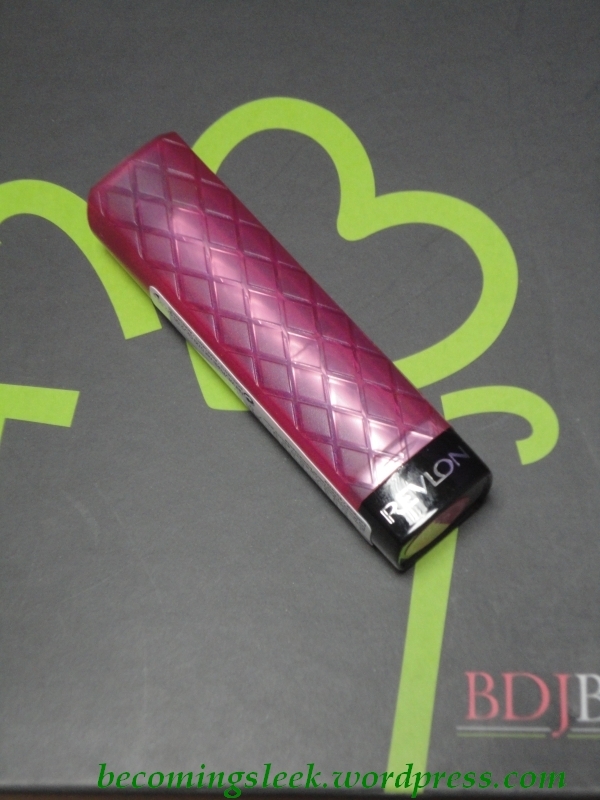 I like bold colors and I expect that I will love this one. This costs Php525. 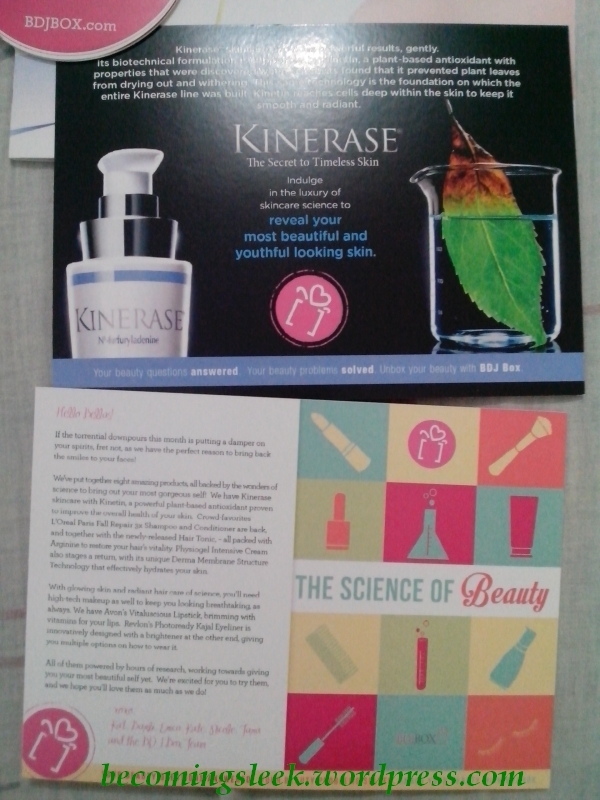 Two Kinerase product samples are included in my box. These are the Gentle Daily Cleanser (5ml) and the C6 Peptide Intensive Treatment (5ml). The first is obviously meant to cleanse the face, while the second one sounds more like a serum to be applied after cleansing and toning. I am eager to try these out. 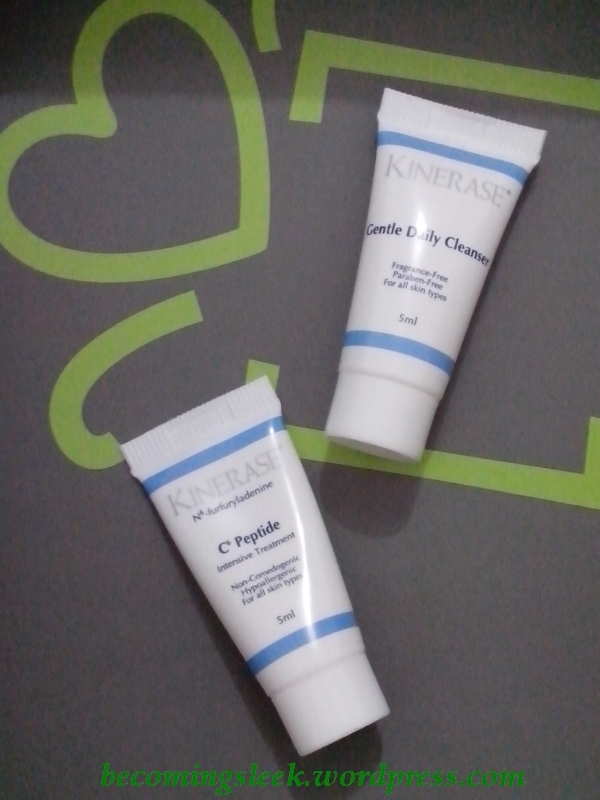 These cost approximately Php70 and Php500 respectively (Full size: Cleanser 200ml, Php2800; Peptide 50ml, Php5000). 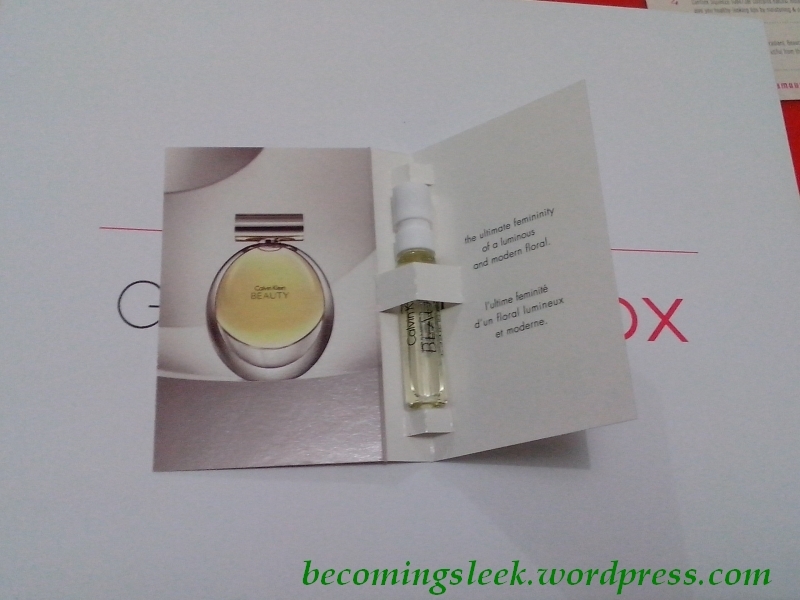 My impressions of the June BDJBox: On the overall I am not displeased by this box. It just so happened that I just purchased the three hair products before this and I do feel that the box made it a bit redundant. 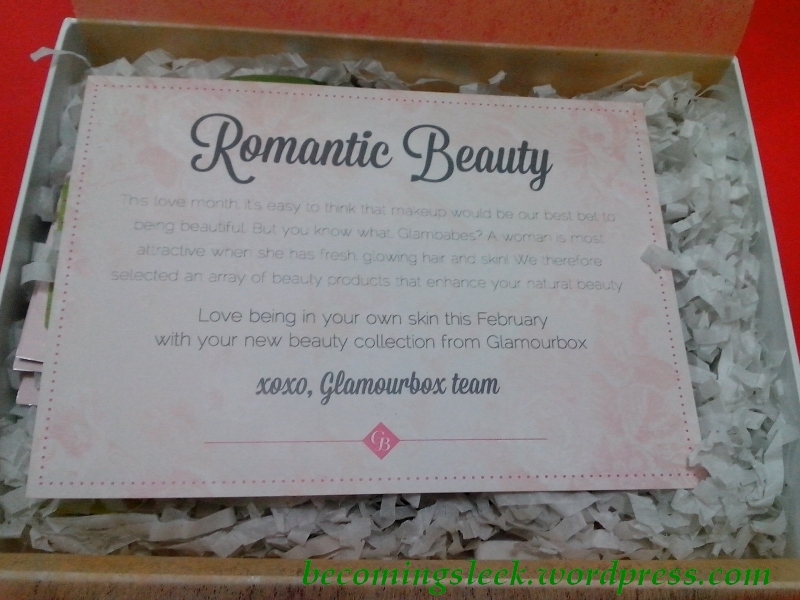 On the other hand I am quite pleased to receive the two makeup items, as well as the chance to try out the new skincare brand. I’d rate this month as good, but not great. 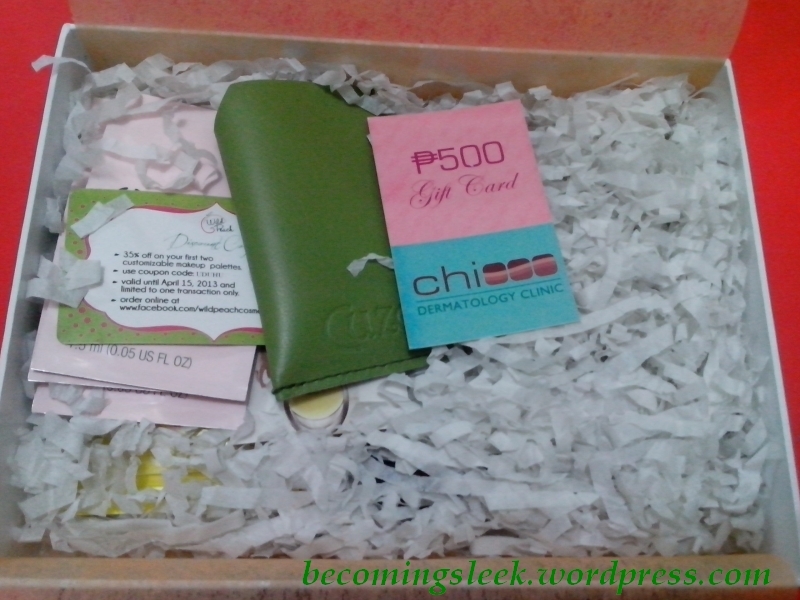 Value review: The total value of this box is Php2330.65, which is again way more than the subscription cost. 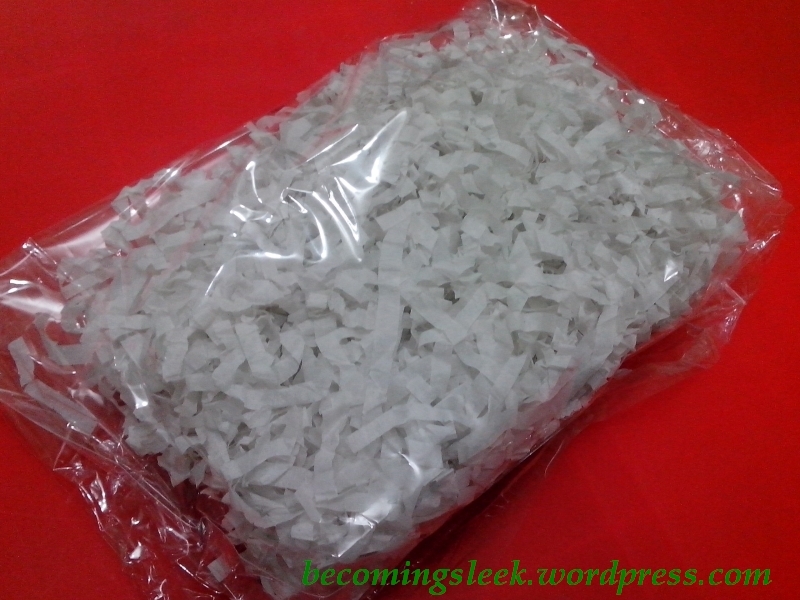 [Note: The monthly subscription cost for BDJ Box is now Php580.] 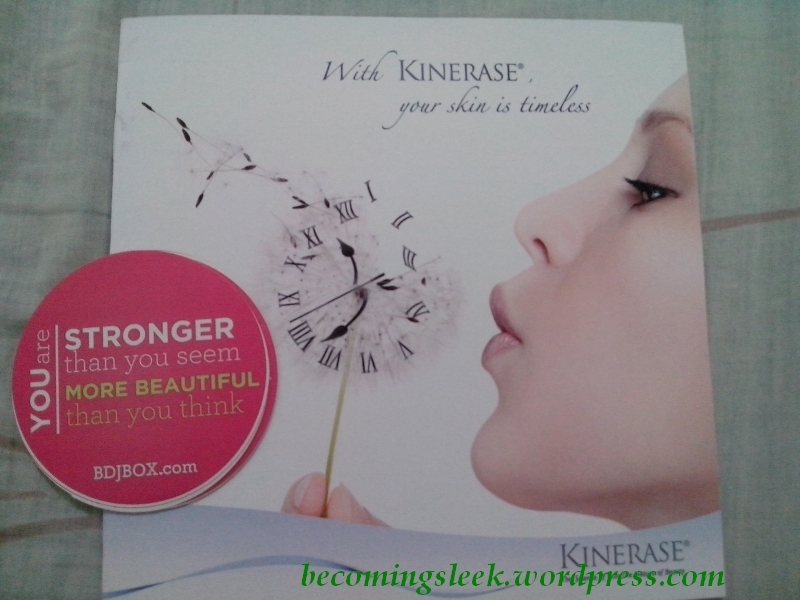 The only thing I don’t like about that is Php500 of this box value is in only 5ml of product (Kinerase Peptide Treatment). 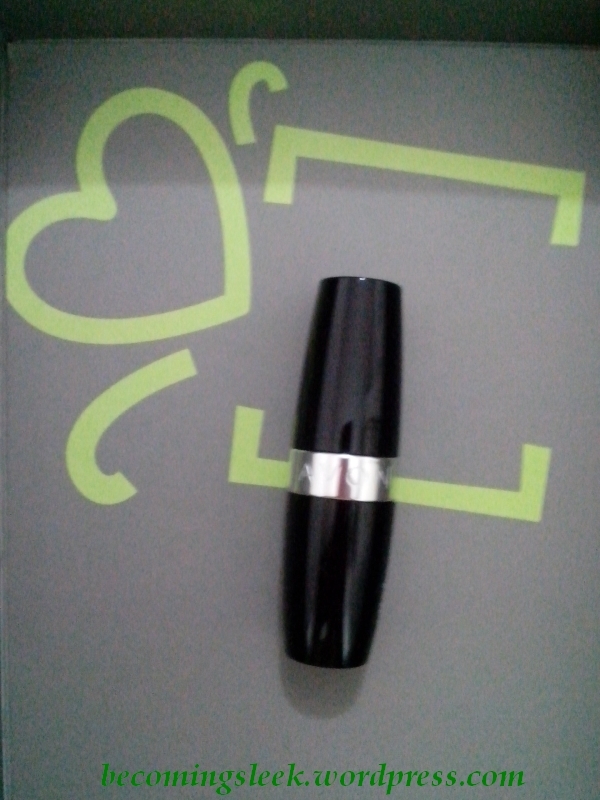 However, I really do like receiving the lipstick and the eyeliner.